Box and wood stand included. 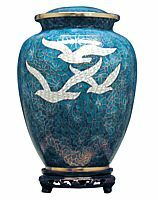 Cloisonne is the art of applying enamel to the surface of a brass core urns filled with colorful enamel. 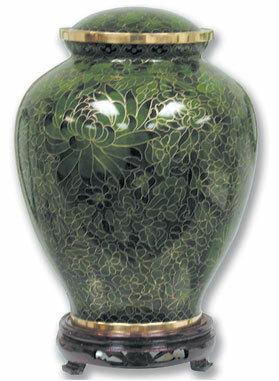 The urn is fired, then polished to create a lasting and bright shining finish. Category: Cloisonné, Dimensions: H 4.25", Volume: 2.5 cu. in. , A Charm can be added to this item. 9.3" x 6.8", 200 C.I. 10.5" x 7.1", 200 c.i. 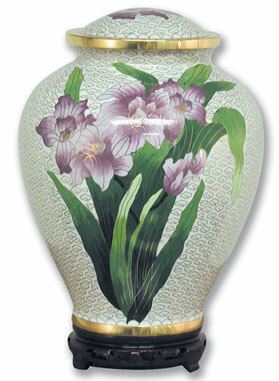 Cloisonne is the art of applying enamel to the surface of a brass core urns filled with colorful enamel. 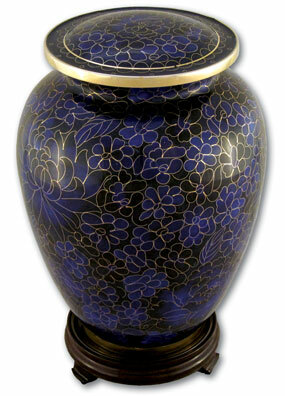 The urn is fired, then polished to create a lasting and bright shining finish. Category: Cloisonné, Dimensions: 11" x 8", Volume: 218 cu. in. , A Charm can be added to this item.